Snap vivid pics of life's special moments with this amazing Sony camera. This camera's optical zoom capability is 6x and its resolution is 20.1 megapixels, made for capturing very crisp photos with stunning detail. This is a compact camera, which is perfect for trips and events. The maximum ISO of 3200 is perfect for snapping pics in darker lighting conditions. This digital camera has a 1/2.3" CCD sensor. Weighing only 127 g, it won't weigh down your pocketbook. It can shoot up to 0.52 fps in burst mode. With 720p video recording capabilities, you can take films in high resolution. 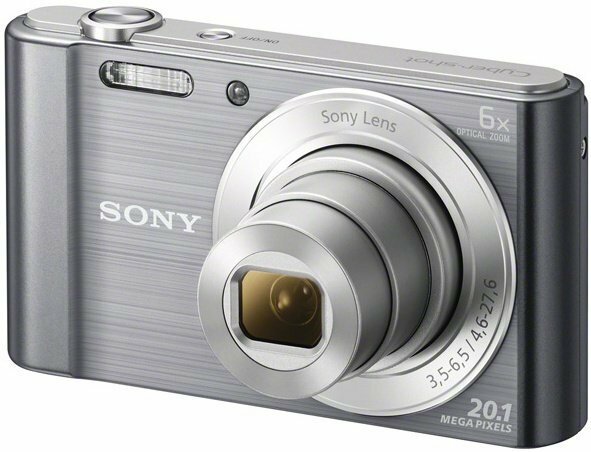 The Sony Cybershot DSC-W810 Digital Cameras was added to the Digital Cameras category in June 2016. The lowest price GetPrice has found for the Sony Cybershot DSC-W810 Digital Cameras in Australia is $128.85 from Ryda Dot Com. Other merchants who stock it are Ryda Dot Com, Amazon AU, Digital Camera Warehouse, Camera-Warehouse, Camera House, 13 IT PTY LTD.